You’ve heard of it before, and you may even have an idea of what it is, but there are still plenty of confusion surrounding web hosting. So, let’s start with the basics. A web hosting service is basically a kind of online service that enables individuals as well as organizations to have their website accessible by people through the World Wide Web, also known as the internet. 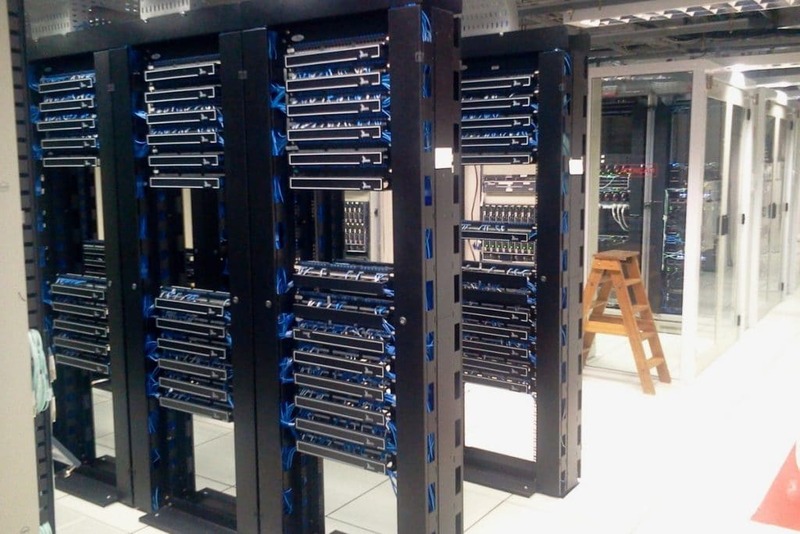 Think of the data center as an office building. Each floor would host a website, and its purpose would vary depending on who owns it. A floor could either cater to one single purpose or be used as a colocation wherein some other websites share the space. You can get all the features, but there will be a limitation regarding visitors per month, etc. Though there are premium priced shared hosting packages where no limitations are possessed. HostingStep spent over $5000 to get an account with multiple hosting companies to get an account and installed demo sites on each server. Now, we started monitoring uptime and response time and put a list of top hosting companies based on its performance. This brings us to cloud hosting services which are often considered as an extension to shared hosting. However, instead of relying on single servers when hosting websites, cloud hosts basically pull from their extensive network of underlying web servers. Cloud web hosting is the type of web hosting which is getting popular these days thanks to flexibility and scalable infrastructure. This means that a client would be able to tap into as much resource as they need, following the demand of their website, but would only have to pay for what they actually use. For example, the data center hosting your websites might go down due to some failure, but cloud hosting helps your site to run without downtime by automatic turnover feature. Also known as VPS or Virtual Dedicated Server, this refers to a virtualized server that mimics the facilities of a dedicated server, but within a shared hosting environment. In some way, it can be considered as a hybrid of both. One of the perks that come with VPS is that you have more control. However, this also means responsibility. Some of the things you’ll be handling include: installing software, upgrading your OS with security patches, monitoring for any issues and so on. Sounds tedious, right? Well, with unmanaged VPS hosting, you’ll have a bit of help in managing everything. Your provider takes away some of the more complex maintenance tasks, so you have more time to handle lighter ones. The features tend to vary from one provider to another, keep that in mind. This is most advantageous for people who want full control over the management of their server. Another perk is that you’ll be able to customize the server to fit your needs precisely. These types of servers are best for people or business to increase their income rather than digging into their servers for issues. Hostingstep recommends Managed VPS hosting rather than unmanaged VPS. This is an internet hosting option that provides users with an entire server all to themselves. Along with the server equipment, the host might also include administration and a slew of other services in the package. 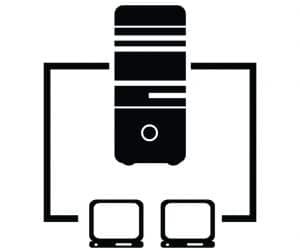 Some of the advantages that come with using a dedicated server include reliability, better performance since the resources are not shared between websites, a customized firewall which increases security, a unique IP address, and lastly, more flexibility when it comes to changing the server’s configurations. 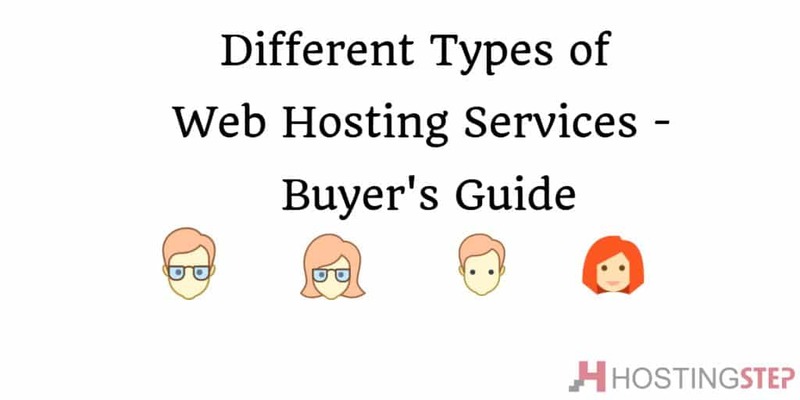 Do note of the service level agreement you have with the hosting provider as this would outline all the different features that come with your package. You would want to know how much support you’ll be given, especially when it comes to security systems, software applications, and operating systems. This particular type of web hosting is one which allows the owner to lease their allotted bandwidth and hard drive space to a third party. Not all providers allow this, however, so if you’re interested in trying this out, you would need to find a company that enables people to sign up with a reseller account. Owning a reseller hosting account would not require any technical knowledge as the provider would typically handle all of the maintenance work associated with it. This includes handling the network’s infrastructure and hardware, updating the server, dedicated owner configurations and so on. However, a reseller will be responsible when it comes to interfacing their customer base. Is it a profitable business? It can be. Web hosting is a lucrative business in itself and resellers, despite the low margins, can certainly find a niche in the market for themselves. So there you have it, just a few basic facts about the things you need to know when it comes to web hosting as well as the different types you might find online. May the information here help you find the best one to suit your needs. Good luck!